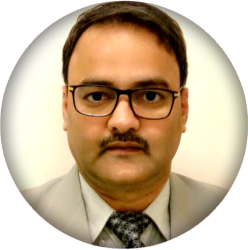 Dr. Vinoy Upadhyay did his MS in Orthopaedics from the prestigious GSVM, Medical College, Kanpur. Thereafter he joined the Fortis Hospital, Noida .Having a keen interest in learning the newer operative procedures.he went to the VA Medical Centre, Washington DC, USA and got training in Knee and Hip arthroplasty and arthroscopy. He has more than 15 years of experience in Orthopaedics .His expertise in Trauma surgeries, Hip Arthroplasty and Arthroscopy and Knee Arthroplasty and Arthroscopy.